Oxford, the city of dreaming spires, boasts one of the world’s greatest - and oldest - universities, as well as some of the finest architecture in Europe. The colleges themselves, which make up the university, are amongst the architectural highlights, their ivy-clad stone walls protecting beautiful chapels, halls, and libraries. A walking tour of Oxford with our guide is included before some free time to grab a bite to eat. Why not try out a pub lunch at one of the many famous inns of Oxford. Next, we head for the beautiful village of Bampton in Oxfordshire Bampton is the setting for exterior village scenes in the ITV series of Downton Abbey. Visit The Church; see Matthew Crawley's mother's house, the hospital, (series two) and current people's homes, which are transformed into the Post Office as well as various pubs. In the "hospital," which is the public library, there is also the Vesey room where the Bampton Archive is housed, and various local exhibitions are set out. Downton memorabilia... Beautiful cards, prints and mugs (done by a local artist) as well as books of the filming are all on offer to purchase. Leaving Bampton, we now head for Highclere Castle made famous by the Downton Abbey TV series. Built by Sir Charles Berry who also built the Houses of Parliament, this is the country seat of the Earls of Carnarvon. 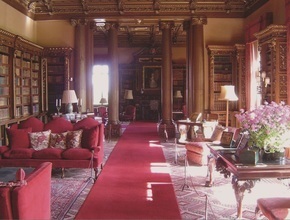 The tour of the Castle’s public rooms includes the magnificent public main hall, the library and sitting rooms in addition to other rooms featured in Downton Abbey. Why not spend some time enjoying the enjoying the parklands created by Lancelot “Capability” Brown who also designed the grounds of Blenheim Palace or indulge yourself with tea and cake at one of the tea rooms once you have finished touring the Castle. A signed copy of Lady Carnarvon's book will also be given to every customer on the tour. It makes for fascinating reading and is a unique souvenir to remember the day!! Departing Highclere Castle, we head back to London and arrive back at approximately 7pm. Lady Carnarvon’s love of history is richly rewarded at Highclere Castle with its mine of family records going back some 300 years. She has delved into the archives to create a book that invites you inside the Castle, past and present. 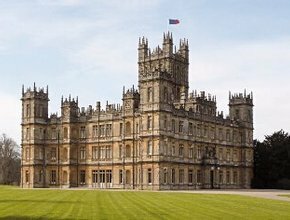 Throughout the centuries, Highclere has welcomed Royalty, Statesmen, Egyptologists and pioneers of technology along with men and women from the worlds of music, art and letters. The etiquette of the invitation, the balance of guests at a weekend house party, their ‘placement’ at dinners, and the entertainment of friends, as well as the domestic management required to execute the perfect occasion, have all preoccupied successive generations of châtelaines. This book tells the story four real life weekends - from 1866 to 1936 - when the great and the good gathered at Highclere to change the world in some large or small part. It then reflects on how the current Countess entertains 'At Home' at Highclere today. Please note that the order of visit may change from time to time. Booking conditions: Once booked there are no refunds unless Premium Tours manages to re-sell the tour ticket.